Heartache, hereditary disease, broken families and even attempted murder. It may sound like the plot of a soap opera, but it is the true story of two Russian women who discovered that they were switched at birth, 40 years ago. The drama of the baby swap began on March 7 1978 when two pregnant women, Rimma Shvetsova and Yulia Savelieva, rushed to their local maternity hospital in Russia’s Perm Region. All in all, there were four women giving birth that day – unusual for a small rural hospital. Apparently, the medics forgot to put name tags on the newborns. The women can’t recall the exact moment their children were switched, but they left the hospital with the wrong babies. It took them almost 40 years to understand that they had not raised their biological daughters. As the girls got older, the women started to notice that they didn’t exhibit family traits. Rimma’s daughter Veronika had blonde hair and blue eyes, which raised the suspicions of husband Anatoly. He thought his wife had cheated on him, an assumption which had terrifying consequences. “Of course, he didn’t love her that much,” Rimma admits, speaking to RT. She recalled one day when she came back from work and her mother told her she had seen Anatoly putting a pillow over Veronika’s face. “I was ironing when he came in. I threw a hot iron at him. I said ‘If you touch the child again, I don’t know what I’ll do to you.’” Eventually, Anatoly abandoned the family. Veronika has always blamed herself for her parents’ separation. Rimma says the girl always asked why she doesn’t look like her and has a different character. “She [Veronika] is calm and even-tempered; her face differs from ours. I would joke, ‘you must have been switched at birth,’” Rimma recalled tearfully. There were further suspicions when Veronika became sick at the age of two. She was diagnosed with a hereditary condition which no one else in the family suffered from. Years later, when Veronika’s mother went back to the maternity hospital for answers, she found that the old medical records had been destroyed and the maternity ward no longer existed. In the meantime, another girl was growing up in a different neighborhood. Her name was Tanya, and she too was raised by a couple who believed her to be their own child. Again, there was no family resemblance. “I’ve never been surrounded by all this gossip; maybe my parents protected me. I always thought I looked like grandma. When I found out, I was shocked – I thought they wouldn’t love me anymore, now that they’ve found their real daughter,” Tanya said. Unlike Veronika, Tanya grew up with a devoted father who questioned neither her identity nor his wife’s fidelity. At the time the girls were born, DNA testing wasn’t employed and families didn’t have the chance to find out the truth. But finally, nearly forty years on the families took the crucial tests. Their fears were confirmed – the daughters whom they had brought up were not their biological children. Yulia, mother of Tanya, believes that the test has changed nothing. “Your mother is the one who brought you up, not the one who gave birth to you,” she says firmly. Rimma also says that Veronika will always be her daughter. Both Veronika and Tanya turned 40 on March 7 2018. Yet Veronika is still haunted by the suffering she saw and feels sorry for her mother, who was wrongly accused of infidelity. “I have seen her struggle her whole life. Not everyone can deal with it. Not everyone can be like her. For the sake of her children she has forgotten about everything, she would go to the end of the world only for her children to be safe and sound,” she said. “I feel guilty for my mother’s ruined life, and that my father left her,” she admitted. The families have now come to terms with what happened – and even say that they’ve gained more than they’ve lost. “Tanya, Yulia, my grandchildren – we are all a big family now; we are all relatives. You can’t turn back the clock,” Rimma says. The women’s lawyer Igor Savvin told RIA Novosti that the families are seeking moral damages from the hospital in a court action.Where other such stories happened in Russia the switched children were much younger, he said. 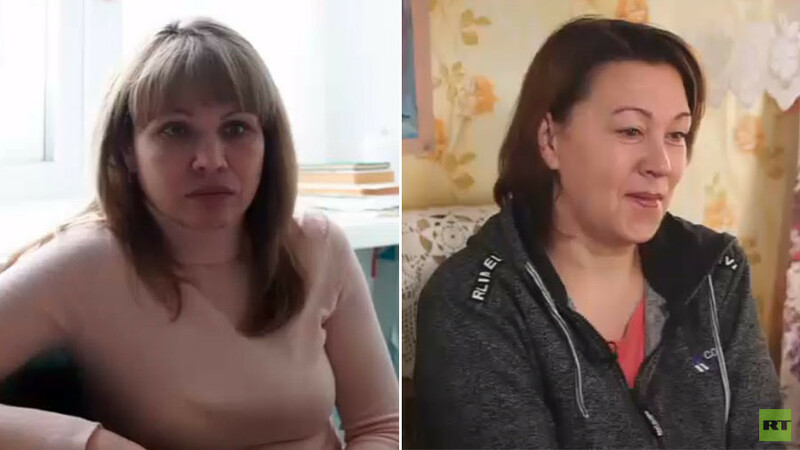 In one case in the Oryol region, 350 km south of Moscow, two mothers discovered that they were bringing up the wrong children two years after their birth. 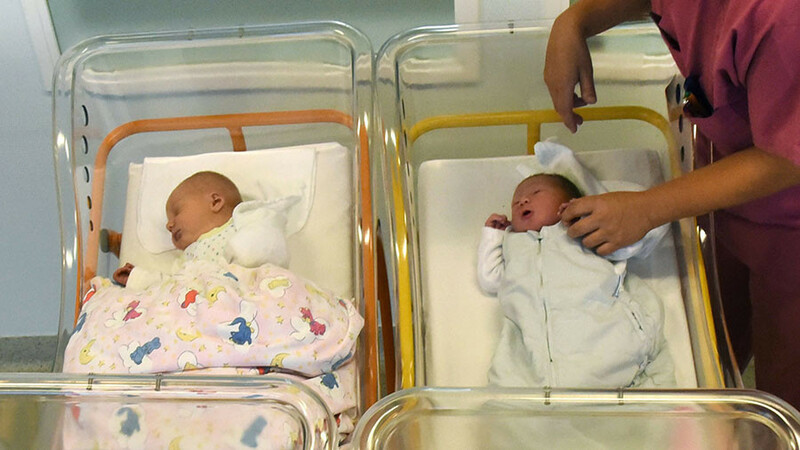 Another woman from the Chelyabinsk Region was 30 when she found out that she was switched at birth, and brought the case to court.